Will machine learning tame big data?The promise of big data is that it can be leveraged for big solutions across any industry. But Internet-connected devices capture so much data that we are virtually drowning -- unable to cull the actionable insights we're seeking. Can machine learning algorithms help us tame our data ocean? 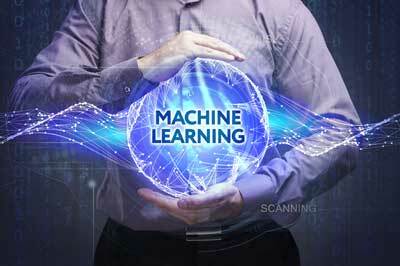 Will machine learning tame big data? The promise of big data is that it can be leveraged for big solutions across any industry. But Internet-connected devices capture so much data that we are virtually drowning—unable to cull the actionable insights we’re seeking. Can machine learning algorithms help us tame our data ocean? Most IT geeks are saying machine learning will evolve beyond the lab this year to take data found in the IoT and turn it into actionable insight. But what really is “machine learning?” For that matter, what is the IoT? In non-geek terms, the Internet of Things (IoT) is the plethora of digitally connected devices lurking all around us. These devices, from your smartphone to the chip in your refrigerator, collect data and send it in a never-ending stream through the cloud to be sliced and analyzed. The IoT captures an astonishing flow of information, but most companies haven’t been able to embrace the promise of big data analytics. The big data we’re processing today deals mainly with Internet usage trends like online shopping or social media usage. We’ve been using tools like Hadoop cloud computing to tame IoT’s big data cloud. But machine learning is about to take over. It has to - because the latest round of IoT devices will demand it. Big data has pushed the IT community to come up with better, faster ways to store and process information. Enter machine learning, the next evolution in computing. Machine learning is computer science steeped in artificial intelligence. While it may sound like sci-fi, really, it’s just coding. Machine learning is based on statistics, data mining and predictive analytics. In fact, the machines are programmed with faster algorithms that evolve their “intelligence” based upon external interactions and the processing of real-time data. Of course the most intelligent of machine learning tools is IBM Watson. But we also have chatbots like Alexa that can do everything from reading your horoscope to calling you a cab - and we’re just getting started. Part of the purpose behind machine learning is that platforms such as Google DeepMind were designed to process IoT data - and we’re not talking about how many cat videos were posted last week. 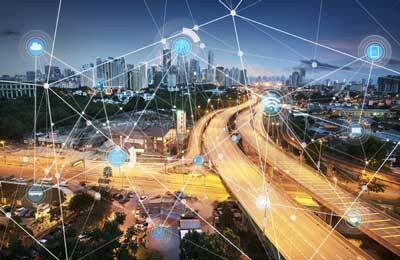 Smart cities require smarter data processing. Most believe machine learning will be effective in processing the continuous flow of information that will come from smart cities, autonomous vehicles, and built in home sensors that make up the second wave of big data expected by 2024. The sheer volume of sensor-driven data found in a single smart city will require larger processing capacity; it is anticipated that 50 billion IoT sensors will be working by 2020. Machine learning systems have larger, faster architectures able to handle the big data that’s coming in our direction in the next few years. They can run computations and learn normal patterns for data on IoT networks, then focus in on any disruptions. Without machine learning, it’s safe to say that big data will be a big flop; there is simply no other answer for the massive river of data that is heading our way soon. Limited offer! Discover the first Bare-Metal Data Lake as a Service in the world. Get 1TB free for life - limited to 100 applicants. Start here.